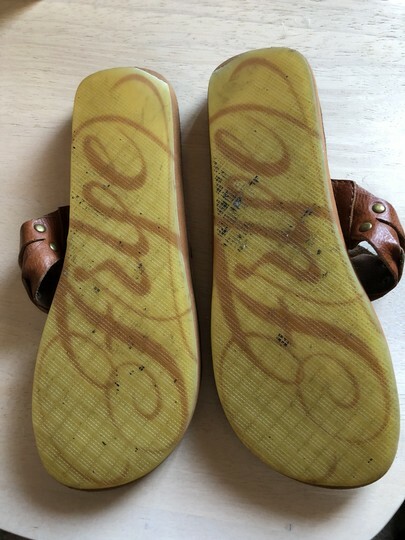 Scuff at the heels, otherwise mildly worn. 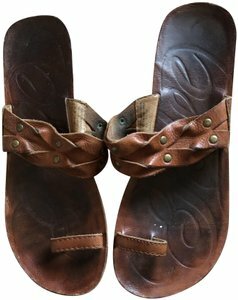 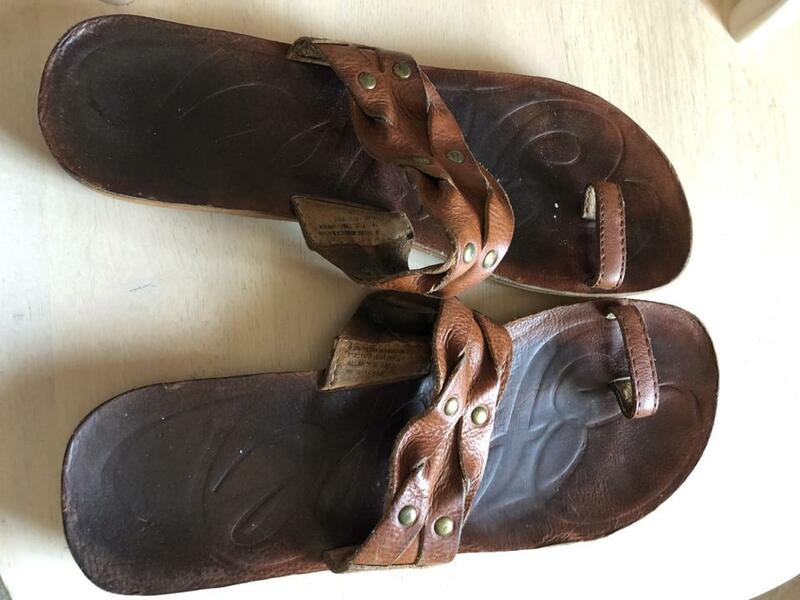 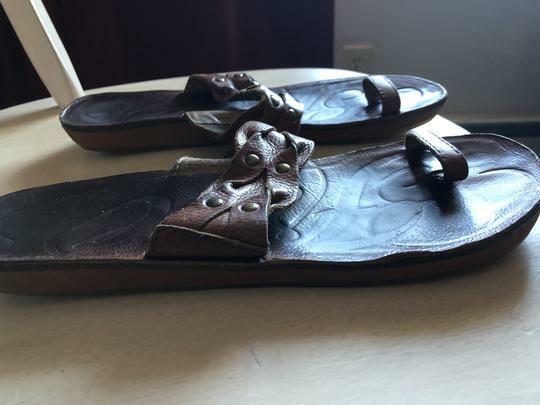 Beautiful vintage leather Frye toe ring sandals. 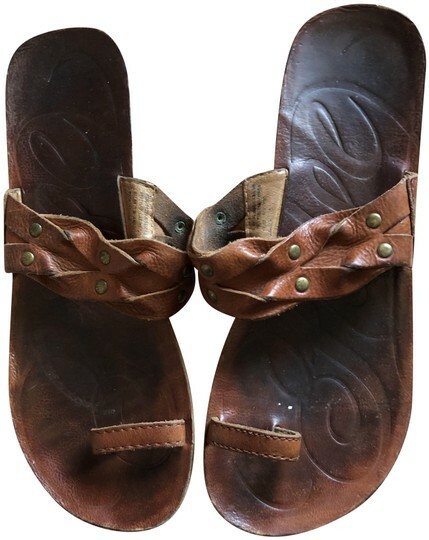 Very comfortable, vintage look, good quality leather.